In this book, Andrew J Newman has presented The Twelver Shiai medical tradition. As such it will prove of both interest and importance to specialists and non-specialists alike. The former include those pursuing study of various aspects of Islamic history and civilization in general and especially students of The History of Islamic medicine. The latter include both those wishing greater awareness of the Twelver Shi'i faith and heritage in general and those desirous of greater familiarity with practical dimensions of the faith in particular.The present is the first English translation of a text in the Twelver Shi’i prophetic medical tradition. As such it will prove of both interest and importance to specialists and non-specialists alike. 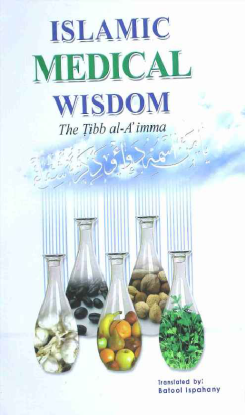 A wide variety of remedies narrated through a collection of Ahadith from the Ahlubayt for a range of ailments to which the body and soul are subject to in this world. There is much wisdom contained in this useful aid to practical everyday life.